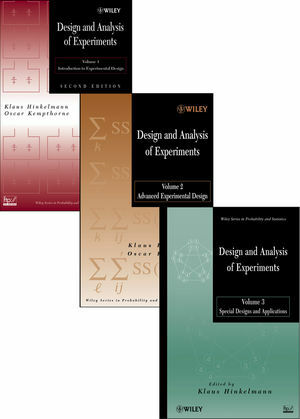 This user-friendly 3-volume set reflects a modern and accessible approach to experimental design and analysis. All the books are available for individual purchase or you can order the full set. 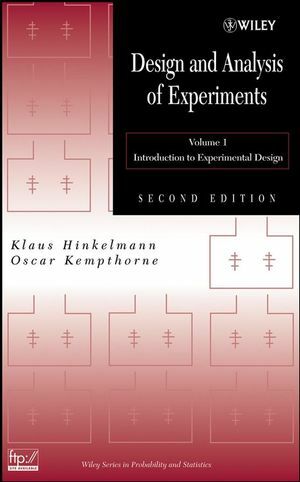 Design and Analysis of Experiments, Volume 1, Second Edition provides a general introduction to the philosophy, theory, and practice of designing scientific comparative experiments and also details the intricacies that are often encountered throughout the design and analysis processes. With the addition of extensive numerical examples and expanded treatment of key concepts, this book further addresses the needs of practitioners and successfully provides a solid understanding of the relationship between the quality of experimental design and the validity of conclusions. 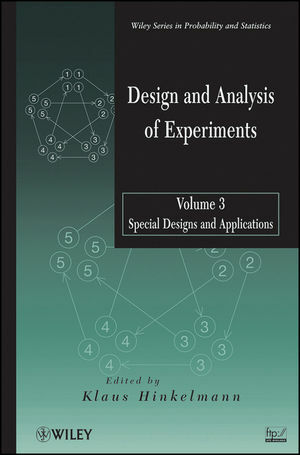 Design and Analysis of Experiments, Volume 2 provides more detail about aspects of error control and treatment design, with emphasis on their historical development and practical significance, and the connections between them. Design and Analysis of Experiments, Volume 3: Special Designs and Applications continues building upon the philosophical foundations of experimental design by providing important, modern applications of experimental design to the many fields that utilize them. The book also presents optimal and efficient designs for practice and covers key topics in current statistical research. Each volume is an ideal textbook for graduate courses in experimental design and also serves as a practical, hands-on reference for statisticians and researchers across a wide array of subject areas, including biological sciences, engineering, medicine, and business. Klaus Hinkelmann, PhD, is Emeritus Professor of Statistics in the Department of Statistics at Virginia Polytechnic Institute and State University. 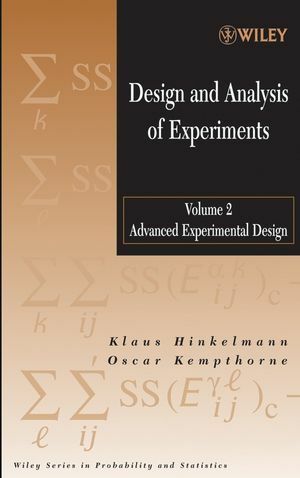 A Fellow of the American Statistical Association and the American Association for the Advancement of Science, Dr. Hinkelmann has published extensively in the areas of design of experiments, statistical methods, and biometry.